Though I only had about four hours to explore at EGX (I live far away from Birmingham, I couldn’t book a hotel, and it was crappy Sunday train service), I was still able to experience quite a lot, and had a bunch of fun. After getting off the five hour jumble of switching trains, it was a 15 minute walk to the main entrance to EGX (the NEC is a huge building compared to Earl’s Court, where EGX has been situated in previous years) where the Nintendo booth was just across from. 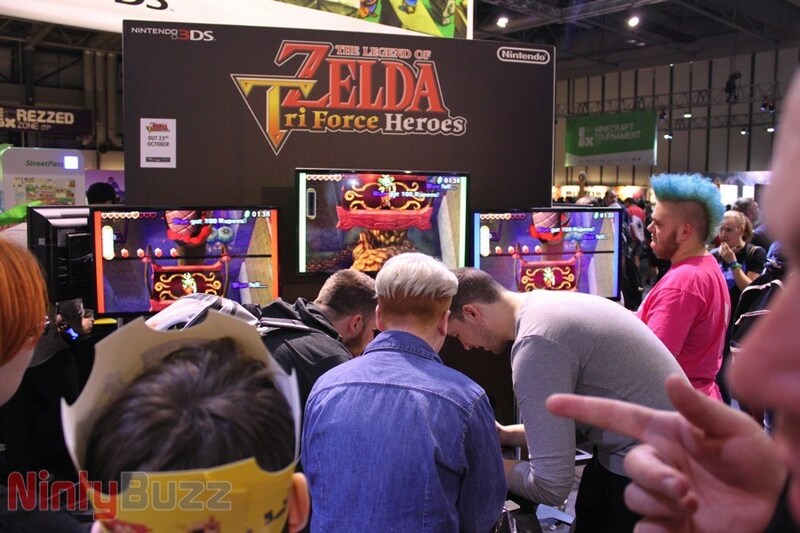 I was instantly greeted by pop up booths for various Nintendo games, such as Splatoon, Star Fox Zero, Super Smash Bros., and TriForce Heroes… needless to say that I instantly joined the queue for Star Fox Zero. Unfortunately, the wait to play the game was about two hours but much unlike waiting in line at an amusement park, it was more than worth it and you got what you waited for. I decided to choose the Corneria stage from the four available. It started off pretty similarly to Corneria on Lylat Wars but in HD. The visuals were absolutely beautiful in person, in particular the ripples and reflections in the water looked amazing. Controls were simple enough, you use the gyroscope to aim, the right stick to move and ZR to shoot. After several minutes, you start to diverge away from the similarities of Lyalt Wars as you soon approach a control tower in the middle of the city. Your first objective here is to defeat ten enemy ships which are whizzing around the area. This is actually a bit difficult (especially if you have played Star Fox for a very long time) as you aren’t issued a radar and it is quite a large area you can fly around, luckily it isn’t a tedious hard, and I’m sure if I was at home without all the distractions of the crowd, it would be easier. Once you blast these ten enemy ships, robot spiders start to run amok and try to destroy the tower, these require some well timed charged shots. Once these guys have been blasted, there is one last phase to take care off, Androsa, a massive flying fortress descends onto the tower… yup, you guessed correctly, your job is to destroy it. After destroying the shields, you’ll need to use a nifty feature. With a tap of the button, you can turn your ship into a walker, allowing you to enter more tight spaces. You’ll need to turn into a walker to enter the fortress and to destroy the core. Overall the game looks very promising, though I’m still going to keep an eye out for more info before I can make up my mind on the title. 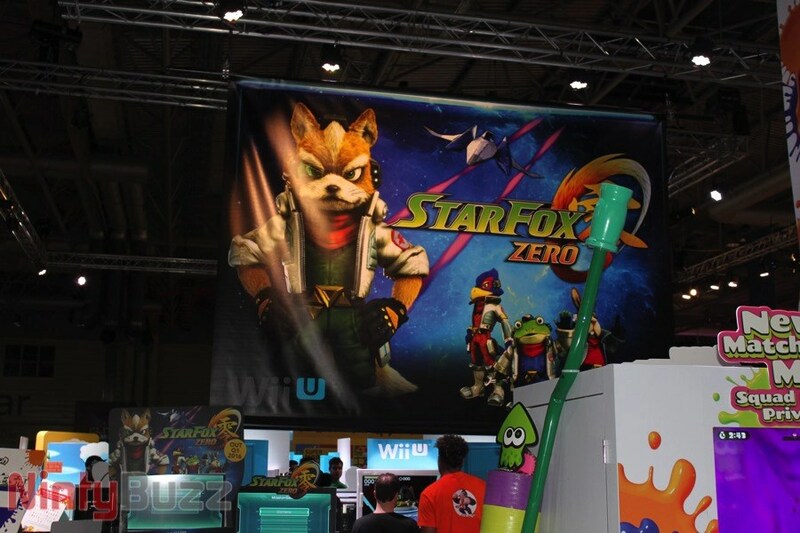 Unfortunately, Nintendo were strict when it came to the photography and filming of pre-release demos so, unfortunately, I was not able to take any video of Star Fox Zero or other games which aren’t yet released. TriForce Heroes was up next. Just under an hour wait for this one. Now, I already have been playing TriForce Heroes a couple days before the event so most of what was on the demo I have done before… but I didn’t let anyone know that (hehe). I was paired with two other people. We each had to choose a stage and then an outfit, after that was done, a roulette wheel chose which stage we would play on, I opted for a stage I haven’t played yet, but instead the Forest Temple was chosen, the last level of the Forest Region. Each stage consists of four different sections, and you progress through the stage in a linear manner. Even though I have played the stage countless times, it was the first time I played with other players as opposed to dopells, I can say that this is definitely how the game should be played! Playing with multiple people is just so much fun, when you aren’t in the same room, there are icons you can touch on the bottom screen to send a little picture message to communicate with the other players… my favourite being the image of Link with some fab pom-poms! Though playing together is super fun, it can be annoying at the same time, or at least it creates some hilarious situations… especially when one player runs off while they are still carrying you! TriForce Heroes was definitely fun, be sure to look out for my in-depth review in a couple weeks. 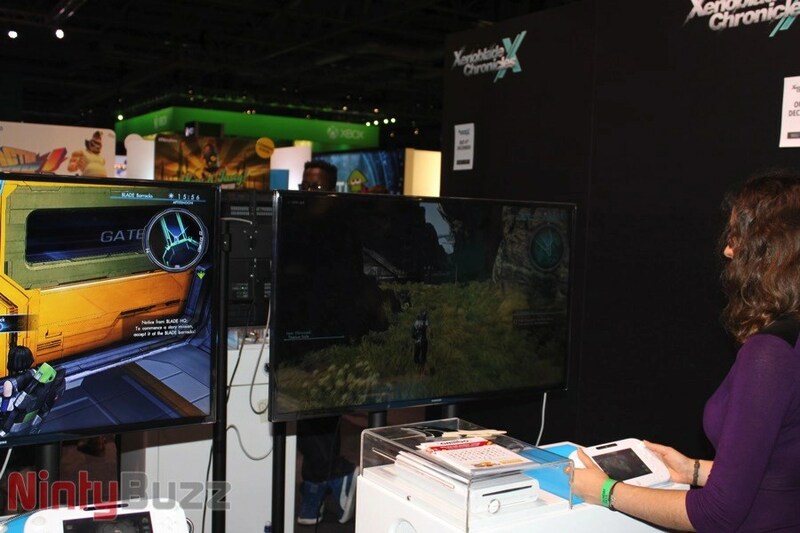 Xenoblade Chronicles X was an interesting experience, especial since I have never played the previous game in the series. After the fifteen minute wait, I was great by yet another beautiful futuristic world, but this time I had full roam of it, and boy was it huge. It took me a while to get used to the combat controls of the game, mainly because there wasn’t any explanation for the part I was playing, and the fact that I was so used to the combat controls of Monster Hunter 4 Ultimate. Instead of having to keep mashing buttons to attack in a real-time combat RPG, instead all you have to do is to push a button to switch between melee and long range and you will automatically attack the target. You can also scroll through an ability wheel and when you push the button you will perform that ability. As I said before, the world was huge and it looked so beautiful. The details of the scenery were absolutely amazing and the vastness was mighty impressive. Unfortunately, as I was finishing up on Xenoblade Chronicles X, it was getting time for me to leg it back to my train platform to catch my train (or I would probably still be in Birmingham). Though I didn’t have a lot of time to experience everything on offer, I still had an absolute blast. I was even able to nab a few freebies the representatives were throwing off the stage, luckily I wasn’t too badly injured from the stampede of youngsters smashing it out on the ground for who got the pack of Pokémon cards… from the ground. There was also a fantastic competition where you could win every single Amiibo that’s been released so far if you guessed how many Amiibo were in a huge cube… needless to say that I didn’t win… I call shenanigans! 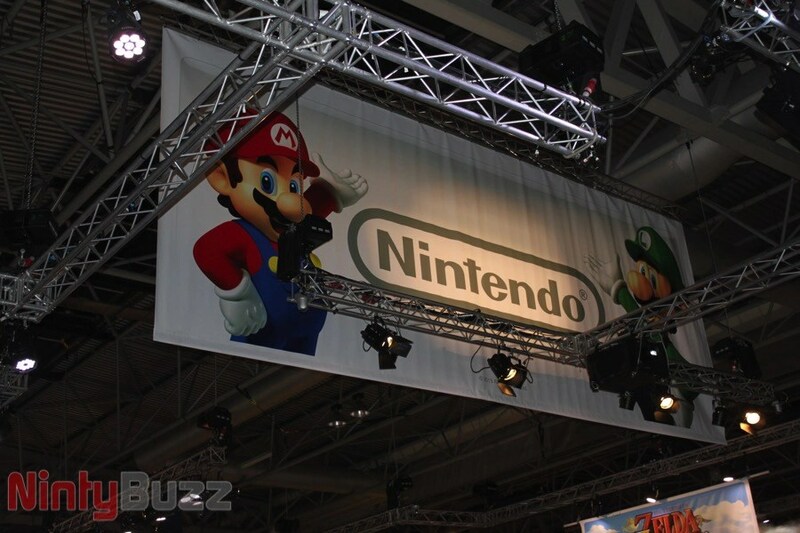 Before I finish this write-up, I would just like to make a massive shout-out to all the Nintendo representatives that were there over the weekend. You all did a fantastic job at the event and really made it worthwhile. I would also like to say thanks to the people behind EGX, without you guys… I would’ve just spent another weekend slaving away making burritos! 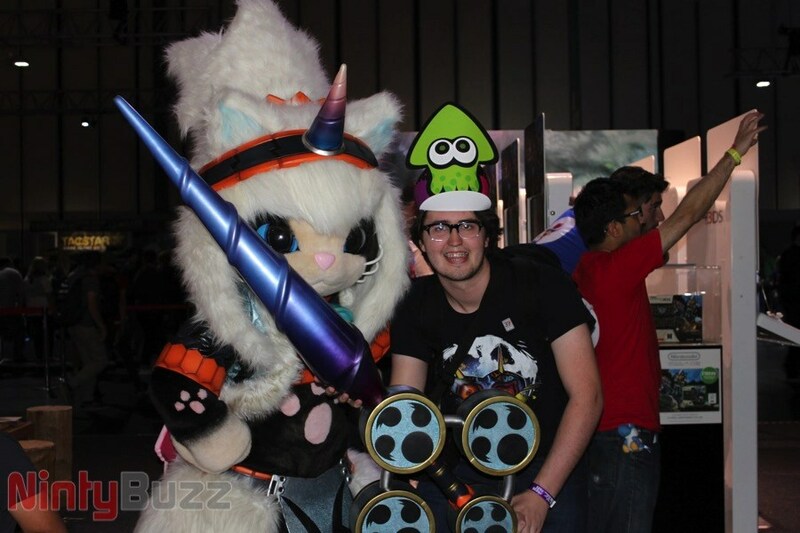 Did you go to this year’s EGX? What did you think of it? Tell us in the comments below!